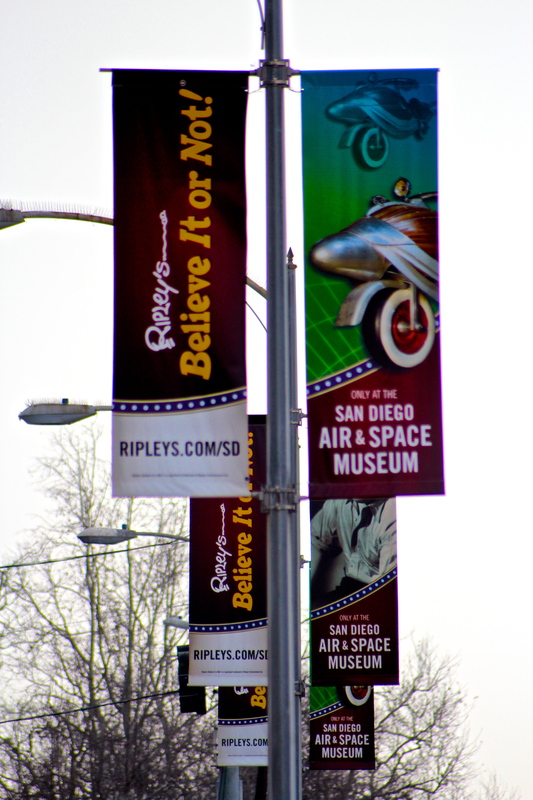 Banners must promote an upcoming public or private event or milestone for the City of San Diego. Banners cannot be political or religious in subject matter. They cannot be used for the sole purpose of advertising a specific product or corporate entity. "The Downtown San Diego Partnership’s Banner program is a great marketing tool to reach Downtown’s employees, residents and visitors. It helped us connect with a large and sophisticated audience and was a key component of our overall marketing program." Want to find out more about the Downtown San Diego Partnership’s Street Banner Program?